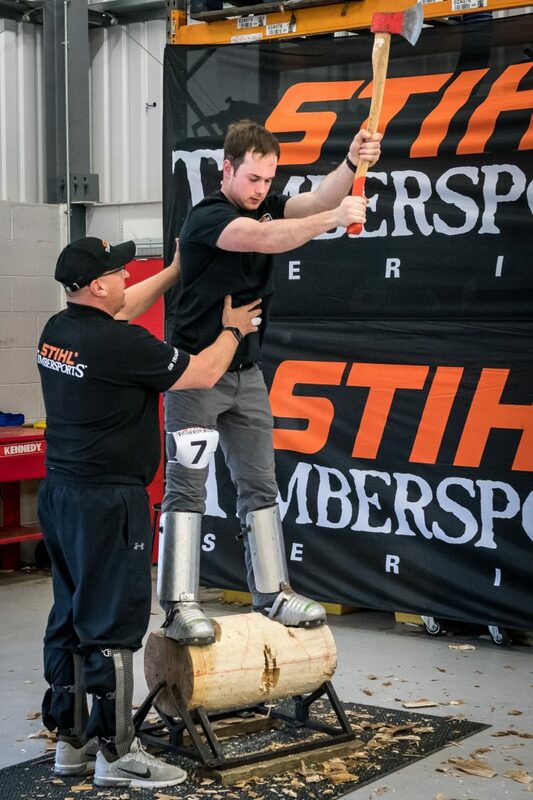 STIHL TIMBERSPORTS®, the world-renowned extreme sports competition, is on the lookout for the next generation of athletes to put their axe and saw skills to the test at a newcomers’ event at Hartpury University and Hartpury College, Gloucester in May. Following on from the success of last year’s STIHL TIMBERSPORTS® World Championship, the competition is open once again to find new athletes that have what it takes to become the next champion. No previous experience is necessary and anyone is invited to apply! After completing an initial assessment, each attendee will receive expert training from the head of STIHL Great Britain’s training program and former British Champion Spike Milton in three rookie disciplines; Stock Saw, Single Buck and Underhand Chop. The most promising athletes will then be invited to receive further training, with the eventual aim of competing in a STIHL TIMBERSPORTS® British Championship. Stock Saw and Single Buck are two of the three STIHL TIMBERSPORTS® sawing disciplines. Stock Saw, where athletes use a standard STIHL MS 661 chainsaw, involves competitors racing against each other to cut two timber cookies (disks of wood) from a horizontally set log. Meanwhile, Single Buck involves cutting through 19 inches of white pine using a single man cross-cut saw. In addition, the Underhand Chop is one of the three STIHL TIMBERSPORTS® axe disciplines. It involves an athlete simulating the cutting up of a felled tree, with competitors standing on a horizontally positioned log and cutting through a 32cm thick trunk. Spike Milton says: “The popularity of STIHL TIMBERSPORTS® continues to grow in the UK and the vast number of fans that turned out in the UK to watch last year’s World Championship is testament to that. The STIHL TIMBERSPORTS® British Championship will be held at BBC Countryfile Live on Saturday 3rd August. To register your interest for the STIHL TIMBERSPORTS® Newcomers’ event, please visit https://blog.stihl.co.uk/take-timbersports-2019-newcomers-training-camp/. Applications must be submitted by Monday 22nd April.